Critical Design is becoming an increasingly influential discipline, affecting policy and practice in a range of fields. 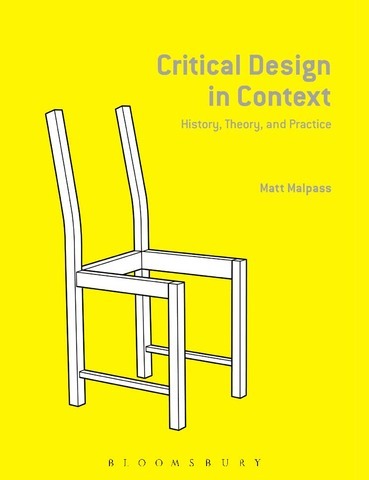 This book introduces critical design as a field, providing a history of the discipline, outlining its key influences, theories and approaches, and explaining how critical design can work in practice through a range of contemporary examples. Critical Design moves away from traditional approaches that limit design's role to the production of profitable objects, focusing instead on a practice that is interrogative, discursive and experimental. Using a wide range of examples from contemporary practice, and drawing on interviews with key practitioners, Critical Design In Context provides an introduction to critical design practice and a manifesto for how a radical and unorthodox practice might provide design answers in an age of austerity and ecological crisis.